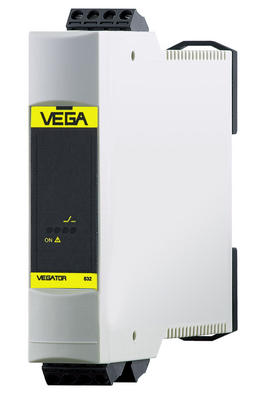 VEGAKON: Proven level detection - The instruments work according to the conductive measuring principle and are used in conductive liquids. The probe detects the product resistance when being immersed. A low alternating current flows which is detected by the integrated electronics and converted into a respective switching signal. The switching signal is determined via the mounting position or the length of the respective probe. The easy and robust construction of the sensors offers a maintenance free and reliable level detection in all areas of industrial measurement technique. Typical applications are e.g. overfill protection, pump control or dry run protection. Conductive probes EL: Flexible determination of the switching point - The instruments are used for level detection in conductive liquids. When the electrode is immersed, the product resistance is evaluated through the connected VEGATOR signal conditioning instrument. A low alternating current flows which is detected by VEGATOR and converted into a respective switching signal. The switching signal is determined via the mounting position or the length of the respective probe. The easy and robust construction of the sensors offers a maintenance free and reliable level detection in all areas of industrial measurement technique. Typical applications are e.g. overfill protection, pump control or dry run protection.